Hosting a party featuring the lovely City of Light, Paris, is sure to result in a festive event for all who attend. Let guests know all the details using invitations that highlight the stunning city. 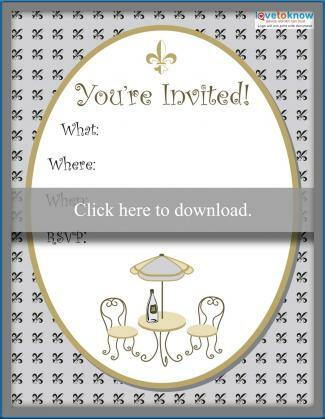 These invitations can be downloaded and printed using Adobe Reader. Fill in the details and change the wording so it best reflects your upcoming party. The two invitations below feature a fleur-de-lis design in the background, making them elegant choices for a more formal event. 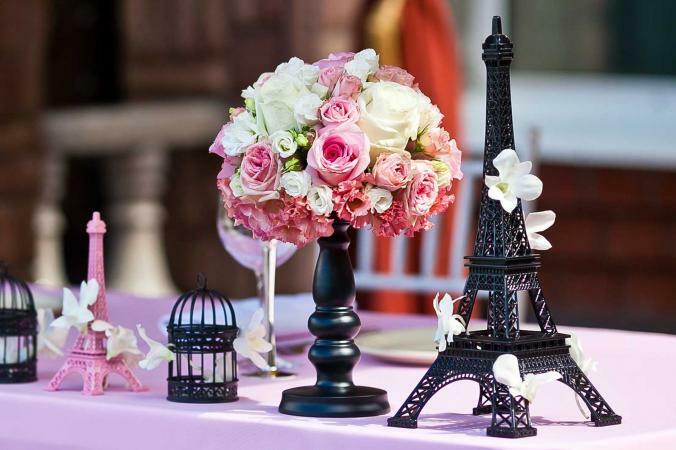 The Eiffel Tower option is good for a party that highlights the sights of Paris, while the intimate table is perfect for a gathering hosted at a cafe. 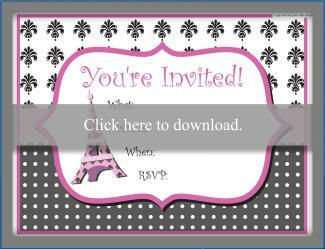 A pretty pink invitation works well for a Paris-themed quinceanera, graduation, or birthday party for a lovely lady. The Eiffel Tower option with stripes works for any gender and nearly any style of party. If you don't have a suitable printer or simply want to take a look at other styles, check out these invitations for your French fête. Paris Damask Invitations: These folded cards come in a set of eight for around $4. They feature a silhouette of a girl walking a poodle near the Eiffel tower, and the pink tones make them a good option for a child's birthday party or Parisian tea party. Hand write your party information once they arrive. 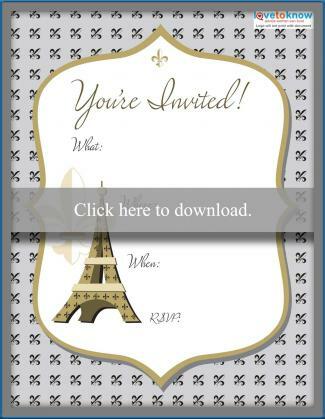 Paris Party Boarding Pass Invitation: Use these faux boarding pass invitations for a going away or welcome home party, or to create a feel of exclusiveness to any fancy party. They come with accents in aqua, lilac, and light pink for around $1.85 each, up to 30 cards. Pricing varies depending on the amount bought. Parisian Party: Khaki: The khaki background of the Arc de Triomphe and the red and blue corner stripes give this invitation a formal feel. Use it for an adult birthday party or perhaps a retirement party. Pricing starts around $22 for 10 cards and varies by the amount purchased. Get your party started on the perfect note by picking out a Paris invitation that reflects the tone of your particular celebration. 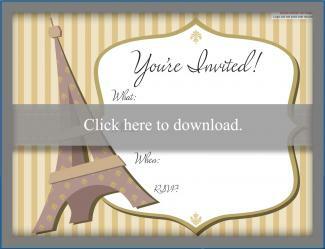 Guests will look forward to joining you in Paris for a fun party after they see your invitations!